Today's smartphones are much-advanced device all of us have. Manufacturers always try to put their names, ads on the front screens and inside. If you don't wish see their logos on a start screen or on the apps, there are hacks available to get rid of them. Not necessarily every one of us need this for professional or entertaining purpose but, using these will help you make your device look more professional and unique. Lets us see how to get rid of the Carrier logo which appears on the lock screen of your Android Device. WidgetLocker helps you customize your lock screen. You can drag and drop placement sliders, android widgets, and shortcuts. Features such as slide to call, slide to open camera are available. You can customize grid size and the widget sizes. It is mostly preferred app currently available in the Android market. It is a paid app and has multiple benefits. 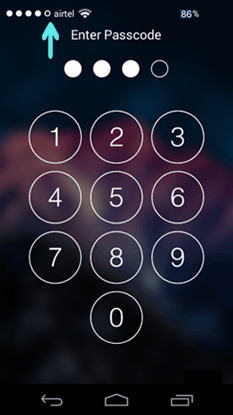 It makes lock screen highly customizable and the best home replacement application. This is a basic paid app which enables an easy home replacement. It supports alternative wallpaper, background tint adjustable, unread count notification, shortcuts etc. It has the option to change/remove carrier name etc. Go to Download in Xposed Installer app and search for the Hide Carrier Label and install it. Activate the Xposed mod. Download Hide Carrier Label.apk from here. There is an option to go to 'Modules' in Xposed Installer App. Select check-box which says 'Hide Carrier Label'. Reboot your Device. That's it! Your device must be free of labels. Using this you can get rid of that label. For your smartphone model and depending upon Android operating system you are using many lock screen apk (apps) are available in Android market. If you Google them individually, you will easily find the right type of app to suit your need.